Established in 1954, Kantilal Chhaganlal (KC), is a name synonymous with wealth management and is one of the old integrated capital market intermediaries in the financial sector. Over the years, KC has stood the test of time, has helped clients understand and simplify the investment process to achieve their financial goals. Backed by the significant cumulative experience of the top management team, we offer our clientele a bouquet of customized, end to end wealth management solutions. With our pan-India branch and franchisee presence, we ensure our clients get uncompromised performance backed by a focused approach, at all times. A winning combination of in-depth research, professional management and value based approach towards investing, forms the strong foundation of the Kantilal Chhaganlal group of companies, on the basis of which we enjoy the trust of our clients and business associates..
"Mr. Chiranjeev I. Vaghani is a Graduate in Science and has over 25 years of rich and varied experience in the field of finance. He also serves as a Director of Milton Investments Pvt.Ltd., Milton Exports Pvt. Ltd., C.C.CHOKSHI ADVISORS PRIVATE LIMITED, Milton Plastics Ltd. and Managing Director ZENITH G CORP REALTY PRIVATE LIMITED." 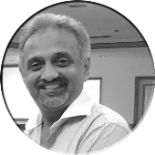 "Mr.Jayesh Sheth has over 32 years of capital markets experience and has been in charge of running the KC Group operations, transforming it from a one table outlet to a conglomerate of more than 600 branches and franchisees, spread across India. 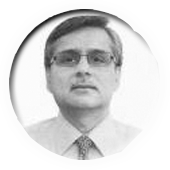 He is an active member on many capital market related committees and has served as a board member (elected) of The Bombay Stock Exchange for six years and also was the Honorary Treasurer of BSE for three years. He holds the Bachelor of Laws and Bachelor of Commerce degrees."